I feel really lucky as I had a couple of beautiful prizes arrive. 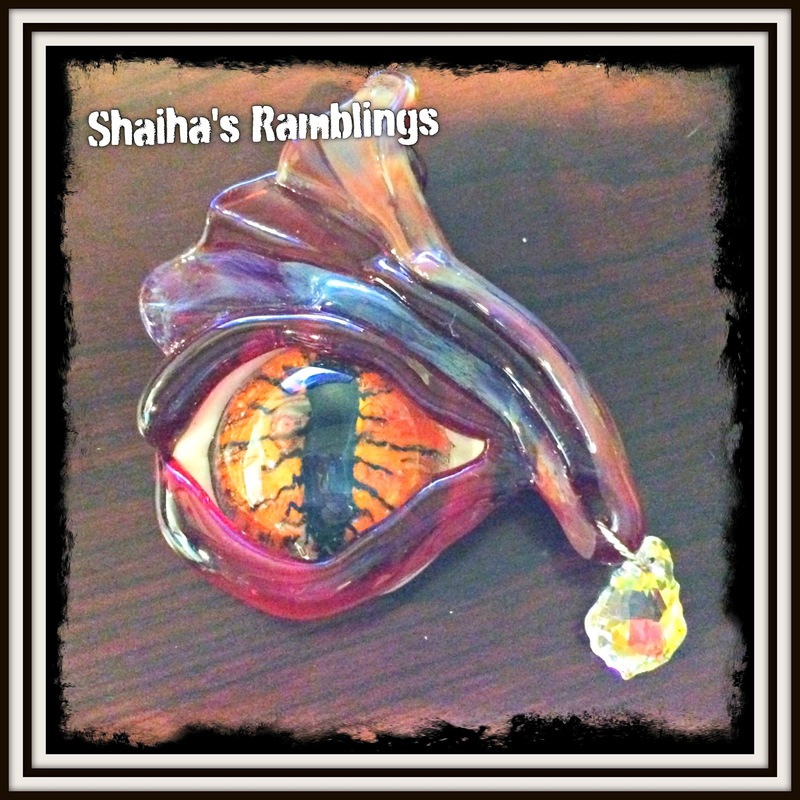 The first is that Dragon's Eye. It's it incredible! I actually won that from a great artisan Deborah Head. She has a monthly contest and I highly recommend entering. I mean just look at the beauty of that eye! Thank you so much! The next batch of goodies have a story behind them. I entered a contest on Facebook where an artisan lampworker, Pat LeGere, was selling some gorgeous beads as well as having a drawing. I was lucky enough to win the drawing and I sent her off my address. I hadn't received anything for a couple weeks so I was getting ready to drop her a line when they arrived. I didn't recognize the address but when I opened the package,I did recognize Pat's work. Apparently they were sent to the wrong person who was kind enough to let Pat know and then send them on to me. I didn't save the packaging but I would like to thank both Pat and the unknown kind person. I feel so spoiled as Pat really outdid herself on all these beauties. I have fallen in love with lampwork headpins and just look at that hoard of them along with the focal, some spacers and a couple focals. Wow! Let no good deed go unpunished. One of my best friend's little sisters is an addict. She had been living with us rent free until she was able to get a job. Instead, she up and disappeared for a few months. She finally got in touch with me and wanted to come get her belongings. I told her that she could come over last Sunday to get them. Well she only managed to grab a few so we made new arrangements to finish up on Wednesday. Monday night her new roommate decided that she wanted to come get them then. I told her no since I work the next day. This girl flipped out and tried to threaten me with the cops. She then found out that she would need a court order for the cops to help her. I told her to go ahead and get one and that the judge would probably laugh at her since I have records of all the arrangements made. I think that I am going to end up cleaning up that pig sty once she gets her junk out of there. At least I found a stable home for her cat after she deserted him the last time. Just found out that I am going to be sent one of Blueberry Cove Bead's Bead Boxes to play with and review. 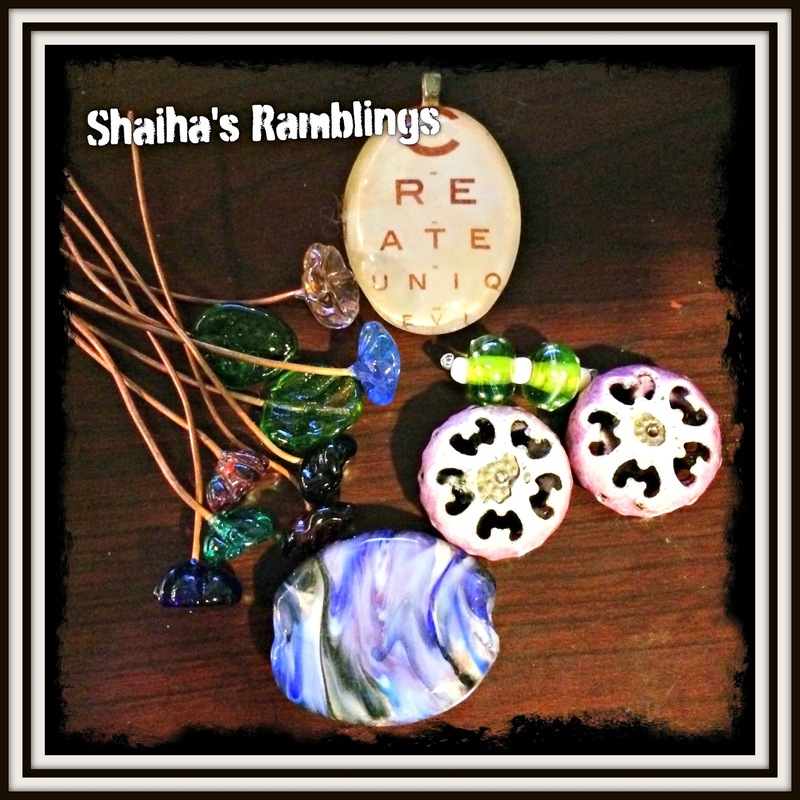 So excited as they have a really nice monthly subscription service for beads. I had been eyeing it for a couple months so I took the plunge and wrote to the owner asking if they would be interested in a review in exchange for one of their Bead Boxes. I should be receiving it around mid November and I will be sure to share with everyone just what I received as well as what I design with it.